In the late 1990s I started going to races like 5Ks and marathons and taking photos of the runners as they crossed the finished line. 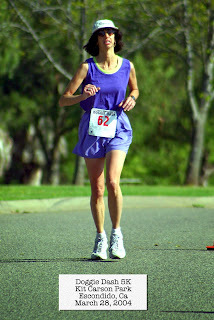 Immediately after the race I'd set up my laptop with a dye-sublimation printer to sell the photos. When I told a friend what I was doing he described it as "instant gratification." Hence, that became the name of my company: The Instant Gratification Photo Company. (IGPhotocompany.com and then, later, I shortened it to igphotos.com). About a dozen years ago I started selling the photos on the web and I learned some valuable business lessons. I've already blogged about one important lesson on pricing. Another interesting lesson was the experience of how the company name showed up on credit card statements. The full name of my company was simply too long to be displayed. So, a few weeks after a race I'd inevitably get a few phone calls from customers (usually a husband) asking, "What's this charge on my credit card from 'Instant Gratification?'" I'd get an immediate sigh of relief when I told them it was for their race photo. This experience raised some interesting questions. Did the name of the company ever cost me a sale? No. Should I have shortened the company name to avoid these calls? Probably not since it just enhanced my brand at the cost of a few phone calls. Anytime you can get your name in front of a customer is good for brand recognition, so don't forget about the credit card transaction. Over the past three years I've dieted for two weeks, annually, by virtually eliminating carbohydrates. It works very well for me as I mentioned last year. However, I've noticed an odd rash on my chest the last three times I've done this. 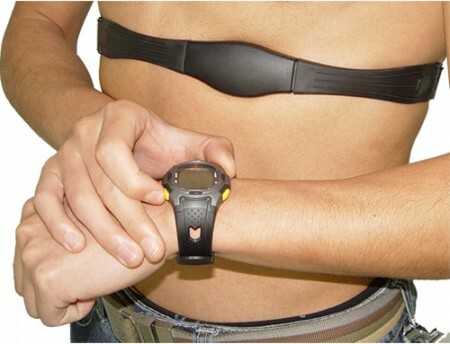 At first I thought it was due to the heart rate monitor chest strap that I wear when running; perhaps my dog had licked it (he loved to lick salty stuff) and transferred some bacteria. But, that wasn't the cause. A few weeks ago I tried treating one side of the rash with Cortizone to see if it responded without any luck so I made an appointment with my primary care physician. He was fascinated by the rash and said that he hadn't seen anything like that in his 24 years of practicing medicine. He gave me a few suggestions to eliminate variables that could cause it which I had already done. He joked that, perhaps, we had discovered a new disease that would get named after me and he'd get credit for the discovery. He took a photo of it and sent it to the dermatology department for a follow up appointment. The dermatologist diagnosed it as transient acantholytic dermatosis and saw me today to biopsy it but it was virtually gone – as soon as I reintroduced carbs into my diet it began to clear up. I suggested that it was somehow related to ketosis when I came across this piece speculating that it was prurigo pigmentosa. The dermatologist said that he had just read a medical journal article about that condition and noted that the rash was different. After we discussed the cause some more he did some research to see how ketones are excreted by the body when eliminating carbs from one's diet. It turns out that keytones come out in sweat and are likely the irritant causing the rash in combination with my chest strap. Just like my primary care doctor, the dermatologist said he was fascinated since my visit made him have to "think" and that he might write a medical journal article about it. Unless... of course... the doctors in this medical group are encouraged to tell their patients how "special" they are. Nah... couldn't be, could it? Joe Pellerine, pilot and owner of Pacific Canvas. Today I had to bring in my airplane's canvas cover for restitching. It was given to me by the previous owner so I have no idea how old it is. Luckily, it had the name of the original company stitched on it, Pacific Canvas of Oceanside, CA. I called the company and spoke to an older gentleman named Joe who owned the business – he told me to bring in the canvas cover and they'd repair it for me. It turned out that it only needed an hour's worth of stitching to redo all of it so it'll be as good as new when I get it back. As Joe wrote up my order he asked me if the canvas cover was for a boat. When I told him it was for a plane, his eyes lit up. For the better part of the next hour I eagerly listened to his experiences flying a B-25 in the South Pacific during WW II – including three crashes without getting a scratch. He loved flying so much that he'd bought three personal airplanes over the years. He looked great for 90 years old. The only reason he stopped flying was due to heart surgery last year. He was as sharp as a tack but said that the anesthesia from his surgery had slowed him down a little as he continues to recover from it. I could have easily listened to his stories for another hour except that the Oceanside Fire Department showed up with some canvas work for Joe.